Sri Dharma Mittra has dedicated most of his life in service to humanity teaching yoga, the ancient knowledge of how to attain radiant health and develop spiritually. Since 1967, he has been teaching Classical Yoga: advanced postures, Yama and Niyama and how to lead a content, simple and happy life. Sri Dharma was born in 1939 in the small, remote village of Pirapora, Brazil and was raised Catholic in a poor family of 5 children. In his early teens, he became involved in esoteric teachings and yoga through books his younger brother was studying. From 1958 through 1964, Sri Dharma served in the Brazilian National Air Force and practiced bodybuilding, wrestling and Brazilian Jiu-Jitsu. In 1962, he he took top honors in a national bodybuilding contest, achieved second place in power-lifting and was awarded the title “Mister Minas Gerais” (the state in Brazil he is from). Sri Dharma had only practiced yoga through books in his late teens when his younger brother Sattya went to New York City to meet and commence studies with their future Guru (teacher; spiritual preceptor). Sattya wrote to Sri Dharma about Sri Swami Kailashananda a.k.a. Yogi Gupta and extended an invitation for him to come to New York City, stay with him and meet the man they had both been hoping so much to meet. Sri Dharma took leave of his mother, left the Air Force, sold the bodybuilding gym he owned and managed and gathered together just enough money for the flight to the United States. On September 14, 1964, he and his brother met on MacDougal Street near Sattya’s Leroy Street apartment in the heart of Greenwich Village, filled with the colors of the 1960’s. The very next day, Sri Dharma had a private consultation with the Guru with his brother serving as translator. After meeting his Guru, Sri Dharma immersed himself in intense study and practice of the classical Eight Limbs of Yoga and dedicated nine years of his life to the full-time practice of Karma Yoga. After three years, Sri Dharma was initiated as a Sannyasi (one who renounces the world in order to realize God). During his years as a renunciate, he had the esteemed honor of being the personal assistant to the Guru, attending to all his needs. 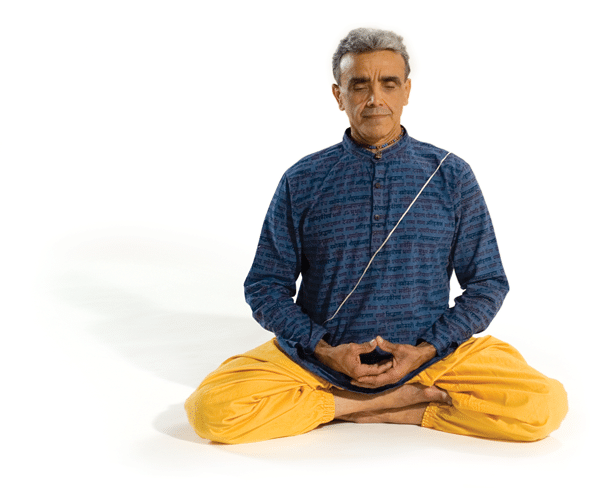 In 1967, Sri Dharma was asked to teach intermediate and advanced classes in Asana (postures) and Pranayama (breathing exercises) at the Yogi Gupta New York Center both for his fellow disciples and the general public. He was also involved with preparing food, manning the juice bar and was the main handyman. Sri Dharma was demonstrated Yoga Asana at the lectures the Guru offered to the public in the ’60’s and ’70’s in hotel ballroms all around New York City. 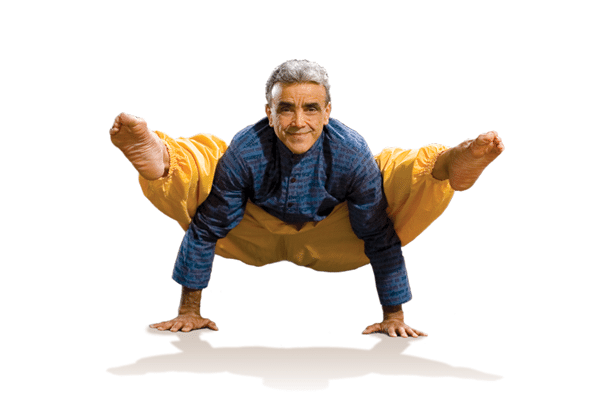 With Yogi Gupta’s blessings, Sri Dharma left the Ashram in 1974 to found the Yoga Asana Center in 1975, currently known as the Dharma Yoga New York Center. Sri Dharma left the Ashram to live his destiny — a life dedicated to sharing and spreading the truth, knowledge and light of God through yoga in the most humble and quiet of ways.